The discovery of the Staffordshire Hoard in 2009 has captured the imagination and stimulated renewed interest in the history and culture of the Anglo-Saxons. The discovery poses some interesting questions. Who owned the treasure and how did they acquire it? Was it made locally or did it originate elsewhere? Why was it buried in an obscure field in the Staffordshire countryside? To answer these questions, Martin Wall takes us on a journey into a period that still remains mysterious, into regions and countries long forgotten, such as Mercia and Northumbria. Many of us will recall the famous story from our schooldays. The year was AD 597, the place Thanet in Kent. A party of monks had been permitted to land there by King Aethelbert of Kent. Solemnly and with great trepidation, they processed inland singing the litany, following a silver cross and an image of Christ painted on a board. The king was awaiting them, not at his royal hall, but out of doors seated beneath an oak tree surrounded by bodyguards. He feared the potential for magical spells these strangers might cast. Eventually, the fierce pagan king was persuaded to allow the holy men to preach and win converts among his people and granted them land around the ruined old Roman church of St Martin in Canterbury which they were allowed to restore. A handful of intrepid monks led by Augustine had dared the dangerous sea crossing, risking their lives in a barbarian realm to spread the light of Christ to an uncivilised pagan island. It is a charming vignette but it is not quite as simple as it may seem. Firstly, there had already been a Roman Catholic presence in Kent for some time. Aethelbert was married to a Catholic Frankish princess, Bertha, who brought with her Bishop Liudhard, her personal chaplain. His influence was not just confined to the spiritual guidance and comfort of his royal charge and it seems he may have been allowed to refurbish St Martin’s at Canterbury, before Augustine’s mission had even set foot in Kent, and from this base he had been allowed to proselytise in a limited way with the tacit support of the king. This toleration must have been a signal to Pope Gregory the Great that here was a king ready to do business. Gregory had taken an interest in the affairs of the English for a long time. As a young man he had seen blonde-haired, blue-eyed children for sale in the slave market at Rome, and, enquiring as to their origins, had been told that they were Angles from Deira, one of the territories of Northumbria. He is said to have replied that they looked more like angels from God. Aethelbert had his eye on developing wider trade with the Franks and imitating their law codes, their coinage and their planned towns. All these innovations were predicated on the unifying role of Roman Catholic religion, and there must have been many among the pagan priesthood and the warrior nobility who drew the line at abandoning the ways of their forefathers. But in 601 Aethelbert was finally baptised, and where a king went, his subjects were bound to follow. Gregory had not realised how much change had taken place in Britain and still thought there were grand cities there as in Gaul, in which new sees could be implanted. In fact, as we have seen, urban life had all but collapsed and the London he imagined as the centre for an archbishopric was a collection of half-timbered settlements located outside the Roman ruins. Soon, Canterbury and Rochester were diocesan centres and London followed, but it was not directly under Aethelbert’s control. Instead, Canterbury, Augustine’s first see, became the seat of the archbishop. Secondly, there were of course Christians among the British in the far-off western lands. Columba, the Irishman whose distinctive Celtic Christianity was one day to spread the faith to the people of the north, had died in the same year that Augustine’s mission had arrived. It was a signal of which way the winds of faith were blowing. Augustine presumed that the British Church would immediately bow to his authority and expected their cooperation in his project, but like Gregory, whose view of the English was based on the charms of pretty, wide-eyed children and maps of Roman provinces with grand cities which no longer existed, Augustine simply failed to understand the political realities of the island he had come to evangelise. 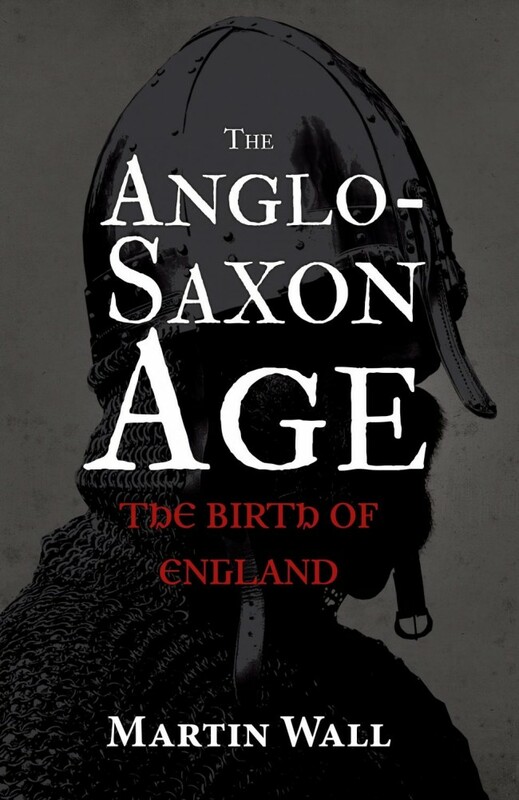 In his mind, the relations between Britons and Anglo-Saxons did not seem so very different to those of the Gauls to the Franks, but the enmity between the two peoples was so toxic that it threatened to undermine even Christian unity. However, seven British bishops, when they received a summons to meet with Augustine at a place on the borders between the English and the Cymric lands, agreed to meet with him to discuss terms. Where the meeting took place is unclear. Aust in Gloucestershire may be a contraction of Augustine, but there is a tradition that it could have been near Great Witley in the Abberley Hills of Worcestershire. Before going out to meet Augustine, the British bishops had visited a holy man, a hermit visionary, to take advice from him about how they should approach negotiations. The hermit’s wise policy was to test the Catholic archbishop. If, when they arrived to meet him, he rose from the episcopal seat to greet them courteously then he was a man to be trusted, and to whom they should offer obedience, but if he remained seated then he was a proud haughty man whose arrogance precluded further discussions. Augustine, of course, remained in his chair, and the chance for Christian unity had been lost. Augustine was not happy to be rebuffed in this way and is said to have prophesied that the British would ‘suffer the vengeance of death’ at English hands. The independent-minded British and Irish Christians of the west who had guarded the light of Christianity against every peril and fierce pagan foes for so long alone were not about to conform with Augustine’s plan unless they received due respect from him. His mission had been a beginning, that was all, and for all they knew Kent could just as swiftly become apostate. So, the conversion was not going to be easy, and as the seventh century commenced there were three religious influences at work in the island. In the south-east, Augustine’s mission; in the far north and the west, British and Irish Celtic Christianity; and in the vast majority of the English speaking areas, Germanic paganism. Two kingdoms were to prove particularly resistant to Christianity: Sussex and Mercia.